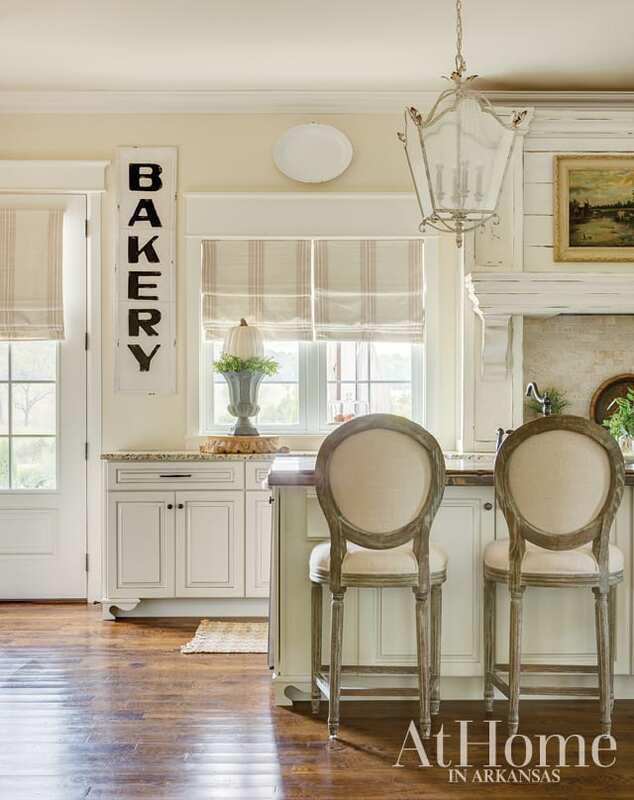 The house Traci and Steve Burges call home is a “farmhouse” in more than one sense of the word. 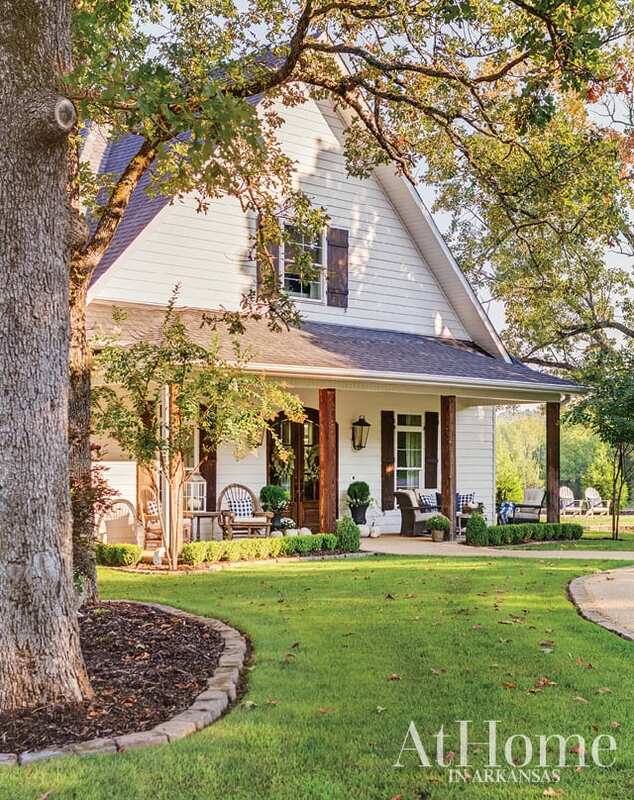 Yes, it has the comfortable, traditional appeal of the farmhouse aesthetic; more literally, though, the house sits on eight acres of Traci’s family’s farmland, with a red barn out back and miles of pastures in view. “This farm has been in our family since I was 5 or 6. 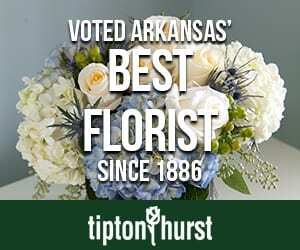 We had cattle growing up, and I’d help my dad on the farm,” Traci recalls. These days, there are no herds to tend, but the Burges house is right at home on top of a hill overlooking the land. During this time, Traci and Steve started a family, and they decided it was time to put down some more permanent roots. “We had a lot in town, but decided we wanted to live on our family farm, where we’d spent time since we’d dated,” Traci says. 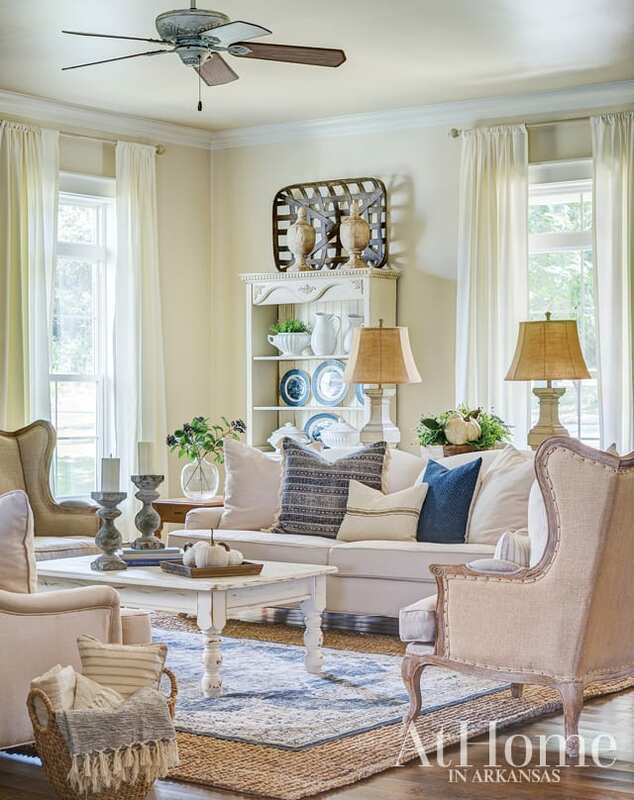 They started with a Southern Living plan, “Cottage of the Year,” then tweaked it as needed, changing the height of the ceilings here and the size of the rooms there. 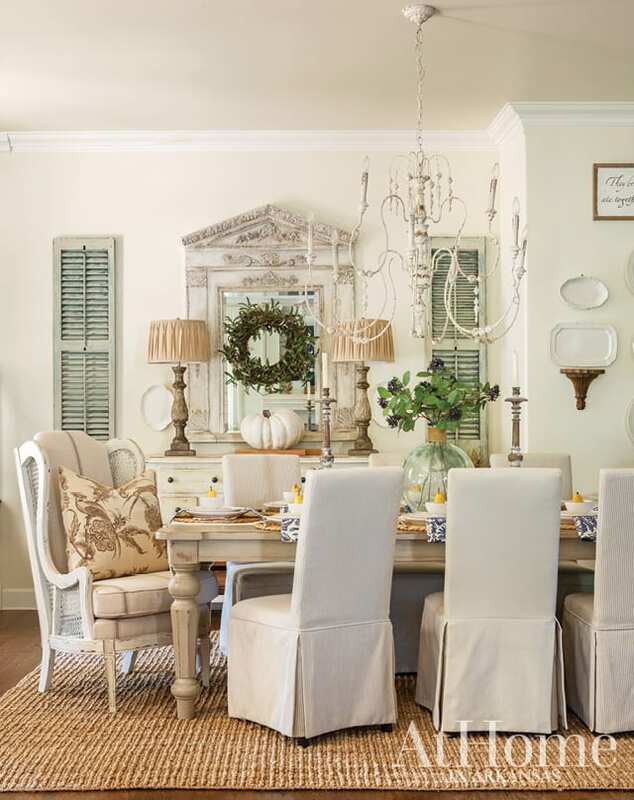 While Traci incorporated some elements from their old home into the décor, others she acquired at antiques stores and auctions, refurbishing to fit her palette of creams and whites. 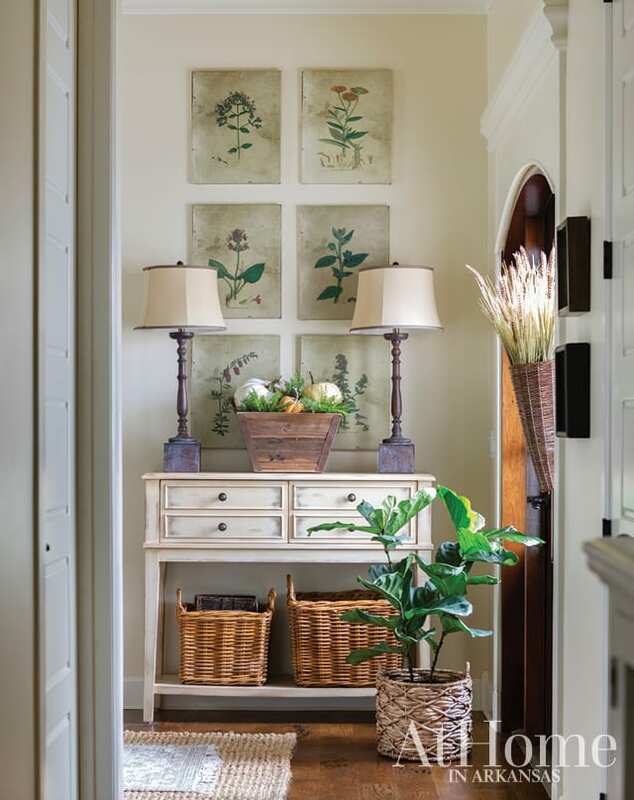 Neither Traci nor Steve is afraid of a DIY project, and they left their mark in every room of the house—sometimes with the help of their children, Megan, Cameron, and Edward. The result is a home that doesn’t feel like a new addition to the farm—but rather one that’s always been there. 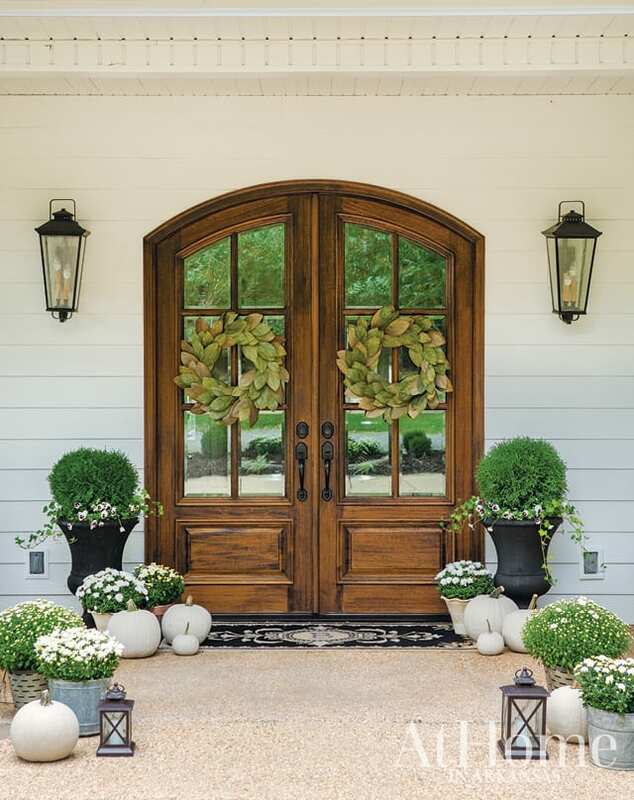 French doors adorned with magnolia leaf wreaths offer a timeless entry. Below: One of many collected vignettes in the Burges home. 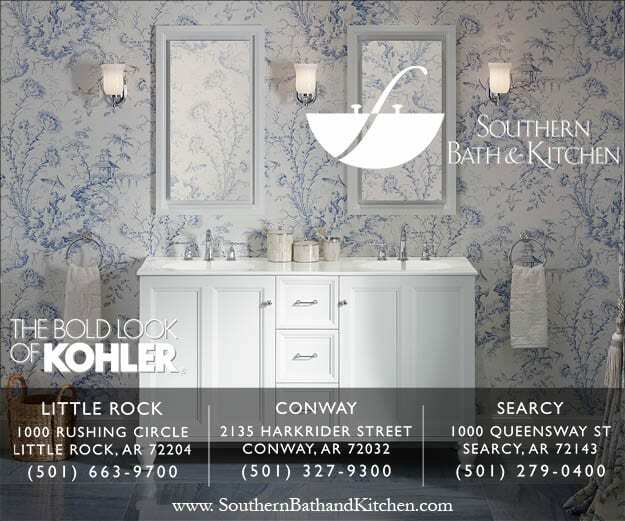 A neutral palette with blue accents and natural textures are a constant throughout the design. “Neutrals are just comfortable to me,” Traci says. “I love the serenity of it—it feels peaceful.” Blue plates displayed in a hutch are from an antique set of Currier & Ives given to Traci by Steve one Christmas. Traci notes that she’s been known to change out the blue rug layered over a larger jute rug from time to time, and she’ll swap out the blue pillows for something seasonal, like red-and-black buffalo check, come Christmas. The back deck features a pool and two seating areas, one of which is pictured here, and gets used almost as often as the indoor living spaces. 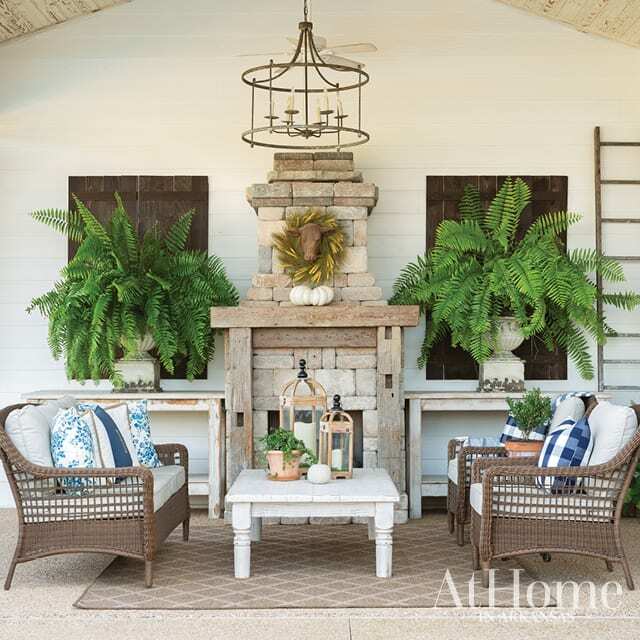 This fireplace is a plan from Meek’s Lumber, tweaked and personalized with reclaimed 100-year-old beams used to make the mantel. The coffee table was a dining table used in the couple’s previous home. “We didn’t have anywhere for it here, and I thought it would go perfectly in front of the hearth, so Steve cut the legs off and made it a coffee table,” Traci says. When the couple entertains, they use the console tables on either side of the fireplace as sideboards for serving food. Traci used Park Hill’s “Feedsack” chalk paint and light distressing to refresh her dining room table. 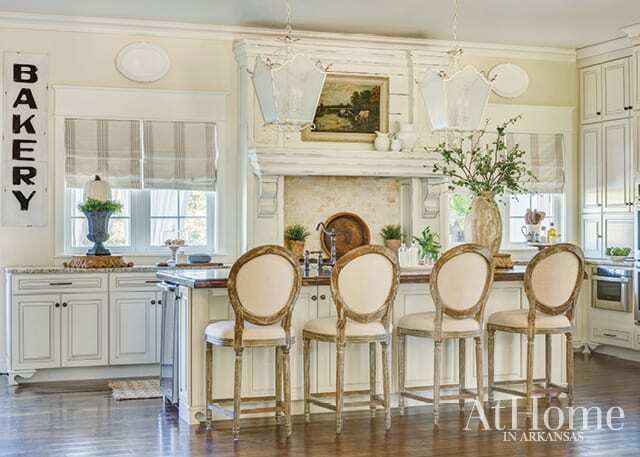 While granite covers the kitchen surround, the island is topped in butcher block the couple found in Springfield, Missouri, then distressed and stained. Exposed beams in the master suite showcase more of the couple’s attention to detail: “The rafters were specially milled by a sawmill in Dumas for us. Because the expanse of the bedroom was so big, we had to find timber that was long enough,” Traci explains. “We painted them white, and they seemed too white, so Steve got up there and sanded it all down.” Accessories from Park Hill and Magnolia fill out the space, as well as pieces Traci has collected over time, such as the pair of framed bird illustrations. 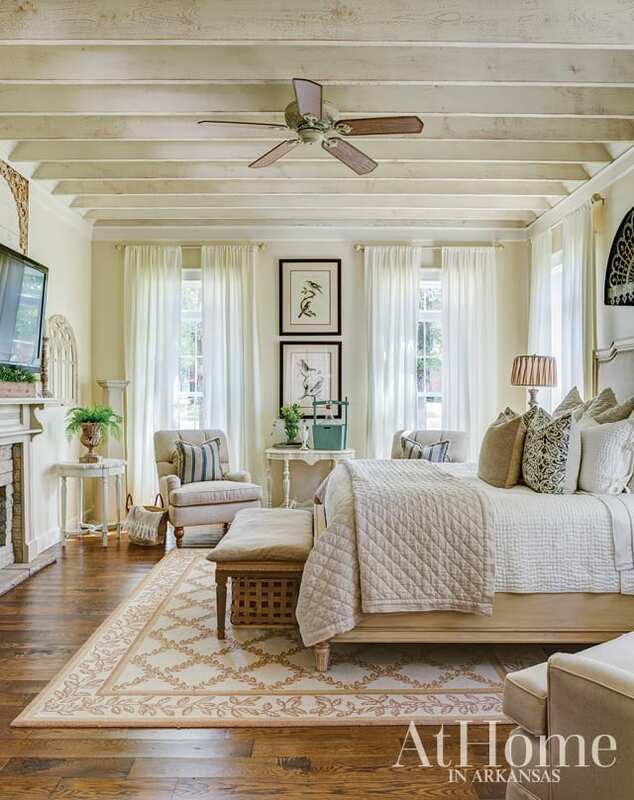 The suite’s exposed beams continue into the master bath, which is flanked by vanities and centered around a built-in tub with a view overlooking the property. 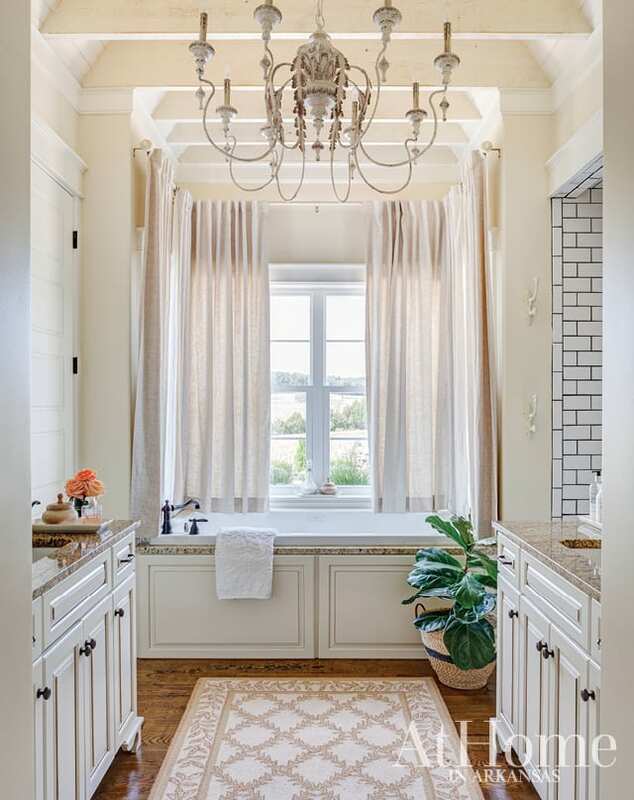 A large shower covered in white subway tile to the right of the bath was an addition to the original house plan. 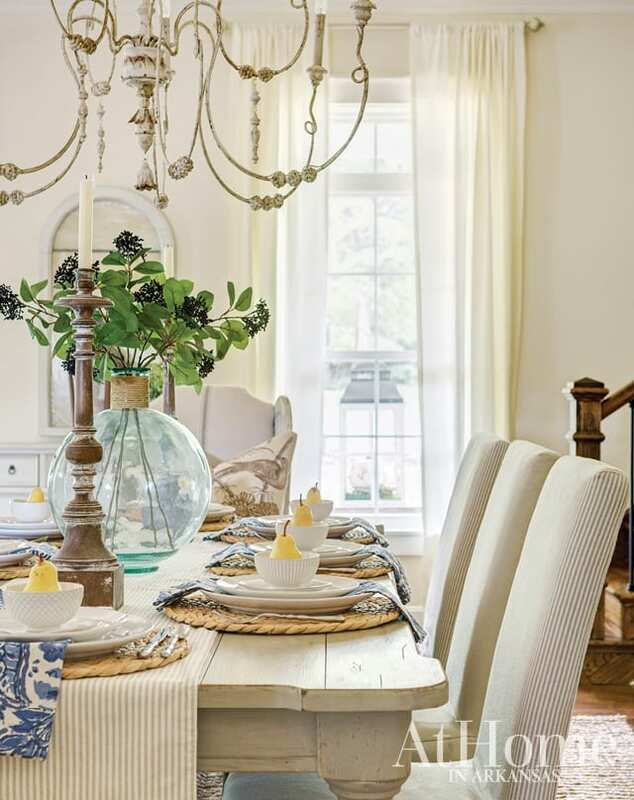 The chandelier and sconces from Lighting Emporium match the home’s vintage farmhouse vibe. 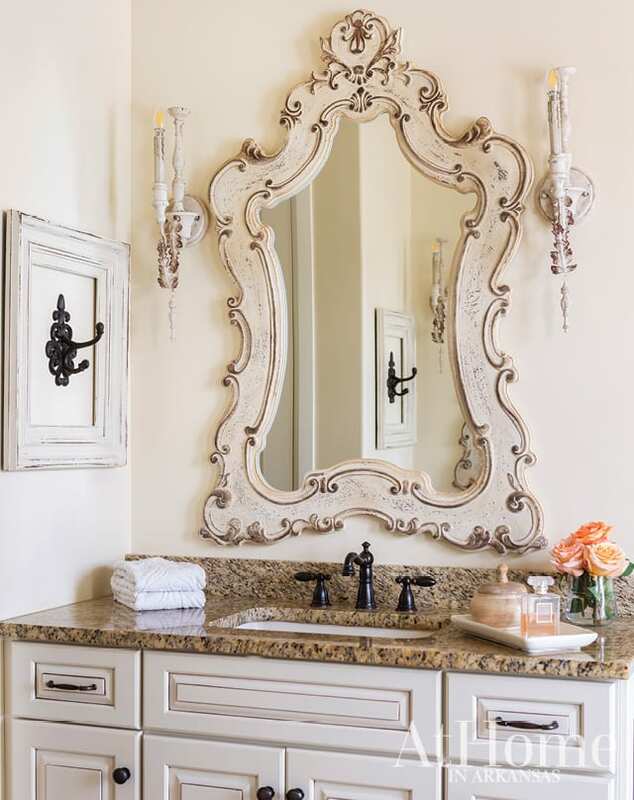 Traci chose Delta’s “Victorian” faucet for the fixtures in both her bathroom and kitchen. “They look so timeless but with a pretty flair,” she says.